This entry was posted in Comments about Cycling on April 15, 2014 by Steve Tilford. I was sort of perusing the internet and came upon this headline story over at Velonews.com about “When you should replace skewers?” The headline grabbed my interest because I’d never heard of anyone replacing a quick release skewer for any reason other than scrapping it flat from falling on it. So, I click on the link to the story and Lennard Zinn is answering a question from a reader about when to replace skewer. Lennard proceeds to answer the question with 6 different replies from skewer manufactures. I personally know a few of the guys that answered and they all said that they had never heard of a situation where a quick release skewer failed and there really wasn’t/isn’t a test to check for fatigue. I don’t get it, an article about a subject that does worry some people new to the sport, portraying that there might be an actual issue there, but there isn’t. They might as well wrote an article about if Cancellara was using mice to power his bicycle or would it be good to use maple syrup to lubricate your chain. I think there were plenty of cool technical innovation to bikes at the Paris-Roubaix last Sunday. Maybe Fabian’s bike could have been the headline story, not a failing quick release scare headline. It sort of irked me that they used a attention grabbing headline, of a non-issue, to attract readership. It didn’t deserve to be the led story of the website Velonews.com. I took this photo up at Trek in Waterloo. 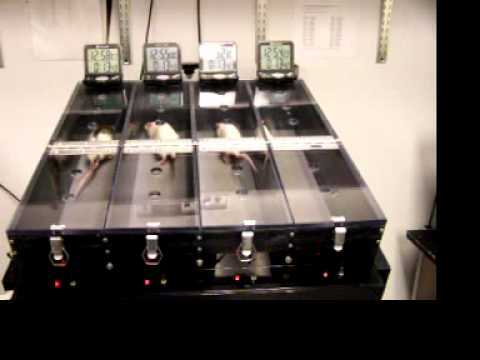 They originally used mice, but now are testing out rats to power the new Madones. Lance shows you how to use a quick release in this video. This has always seemed to me to be Lennard’s MO, writing articles about improbable or non-existent problems to terrify new or ignorant cyclists. peter k-That is just replacing a skewer that doesn’t work, never should have been made and is not safe to use. The skewer that most of us use, the ones that come on higher end bikes, don’t have any issues. I’d feel comfortable about using any brand of skewer from a reputable manufacture. Sorry, but if you are looking to Velo News for journalistic integrity and intelligent writing, then you are looking in the wrong place. This should have been glaringly apparent to you about, oh, fifteen years ago. Maybe more. Lennard may not be everyone’s cup of tea, but this column is perfectly consistent with his normal MO of getting manufacturer input on reader questions. I’d point the finger at the editorial decision to present the article as discussing an open question. You kind of buried the lede, though — Lance as a shop rat? I had no idea. Maybe he could continue his rehabilitation tour by serving as a skewer integrity inspector for the worried masses? Ever read the general/beginner forums on MTBR or RBR? You’d be amazed at the inane things that worry people. Didn’t they already prove successful with a rat powering a Madone? Seems they trained it to repair bikes…….. These writers have a problem in that all the intelligent questions have pretty much already been asked and answered. It’s like when should you replace your helmet, does your bike frame wear out, what’s the best chain lube, etc. About the changing a flat tire video – I’d think Park Tool should ask for their apron back. Has BigTex been sentenced to some sort of community service? Otherwise, WTF? Outside still thinks there’s a buck or two to be made off the guy I guess? Who is this Emir? I want to see his face! Regarding misaligned valves, just snip them off with wire cutters. Problem solved by instant disinflation. Might even teach Mr Armstrong to do things the right way in the future. Lance is fine, he didn’t do anything thousands and thousands of others never did, get over it, who cares ? I suspect that some ppl tighten their QRs way too much. So if and when they snap they fly like bullets out of a gun. Overtightenig is the problem. Not the skewer. Never heard of a quick release failure? try Googling “Walmart quick release lawsuit”.